There are many different approaches you can take for women’s hair loss treatments that work for your specific needs. Here, we list ALL of the available options from medical treatments, surgery, natural remedies to hair growth products and supplements. This will be a long article. Get ready! Also often known as Rogaine among people, Minoxidil is the topical hair regrowth treatment approved by FDA. Just to clarify, Rogaine is just a brand name that contains an active ingredient called Minoxidil. Minoxidil works effectively for hair loss by penetrating the scalp and reawakens the shrinking follicles to help get back to their original shapes. Interestingly, the drug was originally intended for people with high blood pressure. But during the clinical research, the researchers noticed people who are under the treatment having new hair growth. The good news is that most of women who are experiencing thinning hair are usually due to both of those types, so Minoxidil can be a great topical hair growth treatment as a starting point. But remember that this is not all-in-one solution to cure female hair loss according to Harvard Medical School. The full density recovery depends on how well an individual responds to the drug. Women with Alopecia Areata (AA) are recommended to apply 5% of Minoxidil. According to NAAF, Minoxidil 2% is not enough amount to restore bald lost hair patches. The great news is that once hair regrows on those spots, NAAF mentions that your treatment can be stopped. Laser hair loss treatment for women is a safer alternative to hair transplant. It’s painless and no major side effects have been reported. In theory, the laser wavelength penetrates the scalp and energizes hair follicle cells. This promotes blood flow of the cells and helps with DHT buildup prevention. The treatment is claimed to result in an 80-85% success rate for people who are treated with laser therapy for their hair thinning or hair loss. However, there are also skepticism out there questioning the true efficacy. While the laser procedure is relatively more affordable than hair transplants, its cost is still steep ranging from $3000 to $4000 per year. Laser Helmet: We recently covered about a laser therapy helmet for hair growth that was FDA-cleared for the women’s use. 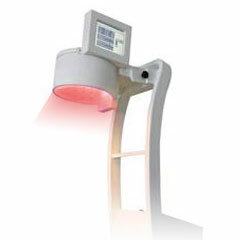 There are probably more brands offering this type of laser devices for hair loss. How it works is similar to the rest of laser therapy treatment, but the helmets usually contain less number of diodes (where laser comes out) than ones that are used at doctor’s office, but more than laser combs. Laser Comb: Hairmax currently dominates the home-use laser hair treatment growth comb devices. Their products have been FDA-approved which means it is safe to use, but the results vary depending on individuals. You will come across many articles about how many experts do NOT recommend hair transplant for women who have female hair loss pattern (Androgenetic Alopecia or Telogen Affluvium). The reasoning behind this is simple – When women are experiencing hair loss, most of them have a diffused hair thinning all over the scalp instead of concentrating on a specific spot. Therefore, transferring follicle units from one side to the other side will not really help covering the thinning hair. We wrote a detailed article covering about different types of hair transplants available for women. 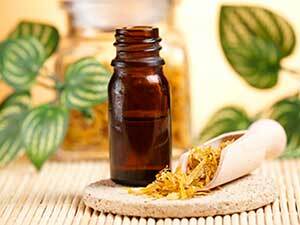 Not every woman is comfortable taking medications or trying topical hair growth solutions. If this is the case for you, natural home remedies can be a good alternative option to regrow hair naturally (for a quick summary, we created an infographic that features the top 5 natural hair loss remedies that people try the most). Essential oils for hair growth: Certain natural oils are known to have a healing property for hair loss, in which some of them include emu oil, rosemary oil, and coconut oil. While hair growth promotion is not something that is scientifically proven, massaging natural oils to your scalp regardless can provide nourishment and moisture the scalp which can slow down the hair shedding. Taking a pure emu oil as an example contains a good 5 alpha reductase inhibiting property according to MPB Research. 5 alpha reductase is what converts the male hormone (androgen) into DHT which contributes to a folic miniaturization. As the emu oil easily penetrates the skin, the theory presents that it interferes with unnecessary DHT creation, thus preventing hair loss. Other: Other well-known natural solutions other than essential oils include a topical application of the apple cider vinegar, onion juice as well as use of certain hair boosting herbs such as nettle, rosemary, feverfew or sage. 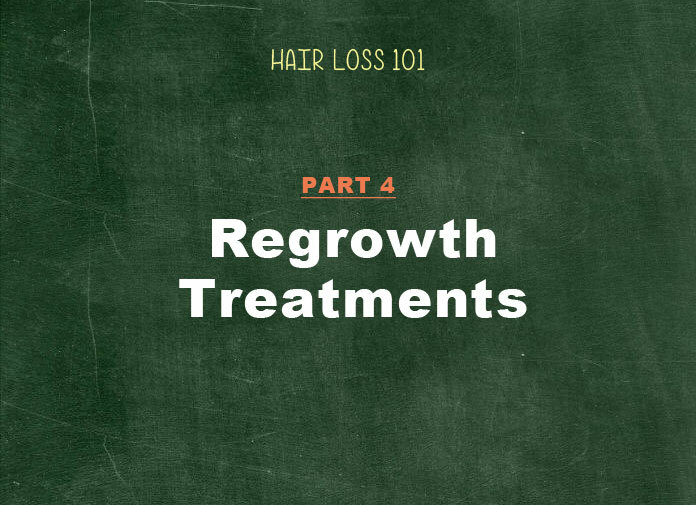 While most of natural remedies have not gone through strict clinical procedures to prove its efficacy like medical drugs, you can often come across researches from Universities or other institutions releasing studies on natural treatments associated with hair regrowth. Type “hair loss shampoos” on Amazon. You will see numerous shampoo brands listed under this category. While we cannot tell how well each one works, here is one and the most important guideline when it comes to choosing a hair loss shampoo for women: Check the list of ingredients and choose ones that are chemical-free. It’s very important to keep our follicle happy and healthy especially for women with thin and fine hair. Using shampoos that include harsh chemical ingredients such as SLS (Sodium Laureth Sulfate) or Paraben should get big red marks from your list. Most shampoo products are usually made for preventing further hair loss using natural or some special trademarked ingredients by companies rather than promoting new hair growth. However, we found one shampoo that specifically claims that the shampoo is made to promote hair growth. It is called Revita by DS Laboratories (Revita detailed review here). Their formula is harsh chemical free and includes well-known compounds that are known for stimulating hair growth such as caffeine, Ketoconazole* (see bleow), and MSM. When it comes to the Revita’s shampoo reviews though, it has mixed results both positives and negatives. What is Ketoconazole? Ketoconazole (Keto) is a compound known for containing an anti-inflammatory property and providing a benefit of blocking high level of androgens. The hair loss’ staple shampoo called Nizoral contains 1% of Keto as the main active ingredient. Recently a company called Regenepure also came up with their version of Ketoconazole shampoo, but removing harsh chemicals and adding additional hair growth boosting ingredients such as saw almetto extra and aloe vera. Some products are made to provide thicker hair rather than promoting women’s hair growth. For instance, Nioxin, the most popular hair loss brand, is specialized in offering products that give fuller looking hair. The key here is fuller “LOOKING” hair – the brand does not make any promise for making your hair strands thicker permanently. Regardless Nioxin is a reputable company and offer six different types of shampoos for your hair types. Nioxin also has a hair thickening serum called Diamax that is a topical treatment. 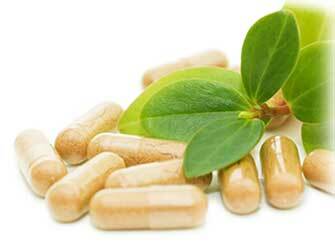 Supplements are something you can incorporate to your daily life to slow down the hair loss process. Doctors say that they haven’t seen any scientific proofs on how supplements promote new hair growth; however, consider supplements as a treatment similar to natural home remedies. It might not have the scientific research backing up its efficacy, but using it for your specific needs can’t hurt as long as it’s taken properly. For instance, if your hair loss is due to a lack of iron, taking iron supplements can help you expedite the process for your body to get the proper level iron quickly. Biotin (vitamin B family) is probably the most popular vitamin used for people with hair thinning issues. The main role of Biotin is to help support healthier hair and nail growth. They are also extremely affordable priced from $5 – $15 depending on the dosage and total counts. A large number of reviewers often report the difference in terms of strength of their hair strands. Experts also mention that biotin side effects are rarely seen. Hair loss affects up to 40% of women in their lifetime. It’s not surprising there are a large number of supplements specifically made for women’s hair growth. Some of the popular ones include Viviscal, Maxi Hair and others (Click here to find out TOP 5 vitamins for hair growth). For instance, Viviscal has been featured on many TV shows and magazines. Lifes2Good, the manufacture of Viviscal, emphasizes the fact that the efficacy of their hair supplements is backed by 5 clinical trials and is sure of the proven results on improving the women’s hair loss conditions (click here for detailed Viviscal review and before-and-after results).